Messy Messy Fail - I have labeled containers in the basement that house all of my decorations for the different holidays. Sometimes I am good about changing my decorations out, sometimes I'm not. Sometimes I am so bad about putting them away that my poor house cleaner gets fed up with my slackerness and ends up doing it herself. And then they sit in boxes that she happened to find in our basement (surprise, surprise!) on the floor because I keep forgetting to put them away in their proper container. At least I don't have to search too hard for my Christmas decorations this year. 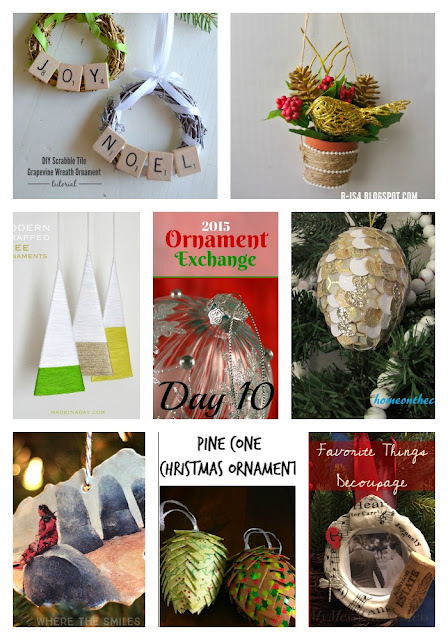 It is my honor to be a part of the first ever 2015 Ornament Exchange hosted by Erlene at My Pinterventures. I came upon her post looking for participants back in September, and of COURSE with my love for Christmas this was a project I totally wanted to be a part of! All I had to do was send my name and some standard information to Erlene, after which she paired me up with the fabulous Rhiannon of Insolence + Wine. We both enjoy "the vino". We both have a strong German heritage in our families. Did Erlene hire a private investigator or something? Seriously, our pairing was quite remarkable. Which made this project that much easier. 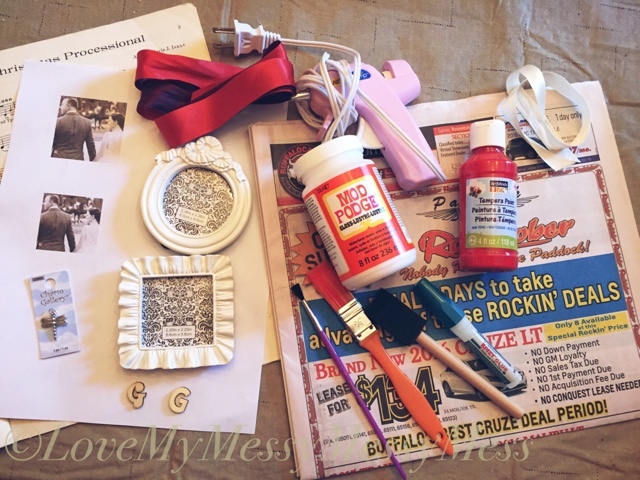 Since we had so much in common, I decided to make an ornament that featured a little bit of her, a little bit of me and her favorite things! 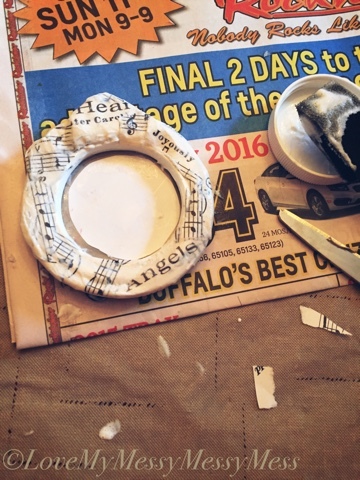 Using the newspaper to catch spills, paint any small decorations for your ornament and allow time to dry. 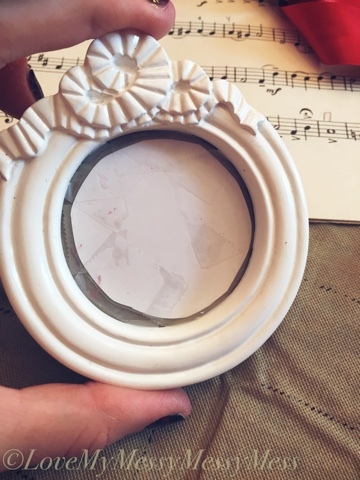 Using the paper insert that comes inside the picture frame, cut the paper with the scissors so that it can be taped to protect the clear photo cover on the outside of the picture frame. 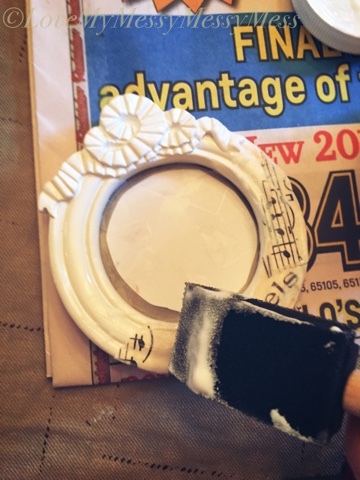 You can use the tape to help keep the paper in place, but make sure the tape doesn't cover any part of the frame that you are going to decoupage. 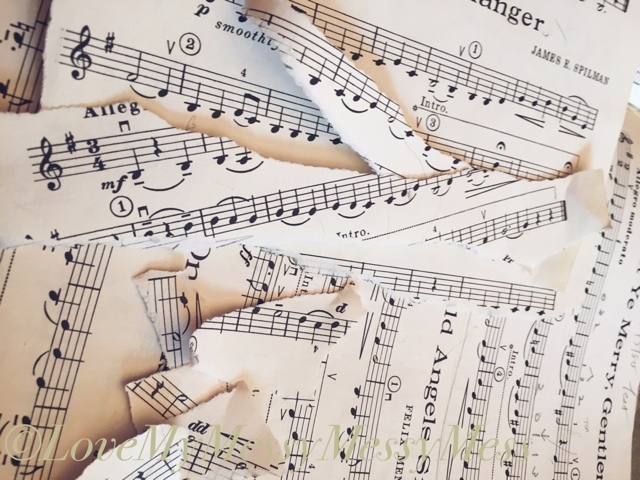 Using your paper of choice, modge podge and a paint brush, apply the modge podge to the frame and cover with the shredded paper, applying more modge podge over the paper. Allow to completely dry. Cover with a second coat of modge podge and make sure all of the frame that was visible is covered. Time to insert your picture - use your scissors to trim the picture enough so it fits well inside your frame. I ended up printing this picture out on a plain piece of paper from a printer because I couldn't print an actual photo small enough for this little frame. Put the picture inside your frame and secure the back. 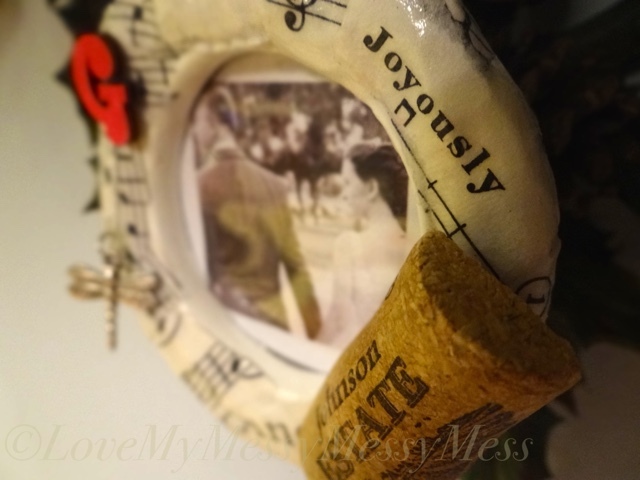 Next, plug in your hot glue gun and use to glue your "favorite things" of choice as you want around the frame. I made sure to carefully glue the dragonfly so that it still had movement and wasn't completely glued to the frame. Allow to completely dry. 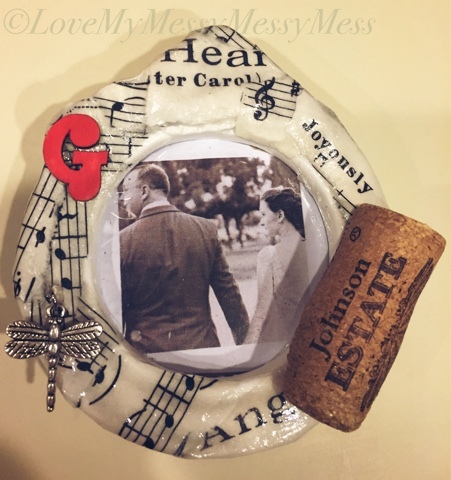 After all accessories have dried, use the hot glue gun one last time to glue your pretty ribbon securely to the back of the frame for hanging. Tie the excess ribbon in a simple knot, leaving enough length to hang on your tree and cut off the remaining ribbon. I am REALLY happy how this turned out. There was no trial run on this project, I just had a plan and went with it. I was careful to make sure a few of the words from the title of the music and the tempo marking were visible to highlight that it is a Christmas ornament without being obviously Christmas-y. BONUS - This keepsake ornament doesn't always have to hang on a Christmas tree. If you leave the arm on the back of the frame, it could always be displayed on a shelf or pretty table. 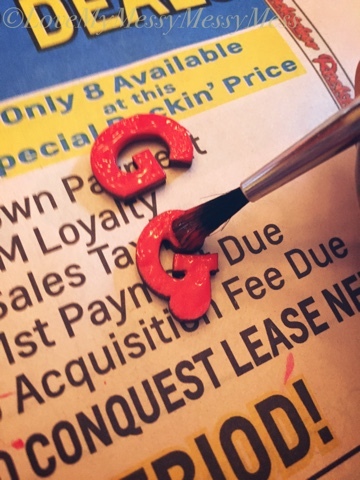 If you don't have a picture that will look good in the frame due to size or whatever, try using a monogram in a pretty font instead. 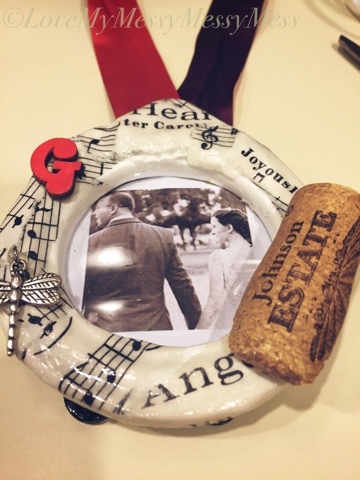 Plan your "favorite things" carefully - place them around the frame BEFORE you glue. I almost didn't use the wine cork - it was too bulky - then I tried cutting it in half and it looked much better. This picture frame had an odd shape to it, but it really resembled the traditional round Christmas ornament so I went with it! I cannot wait to put his ornament in the mail to Rhiannon - I really hope she likes it! I ended up purchasing a few extra picture frames (just in case!) 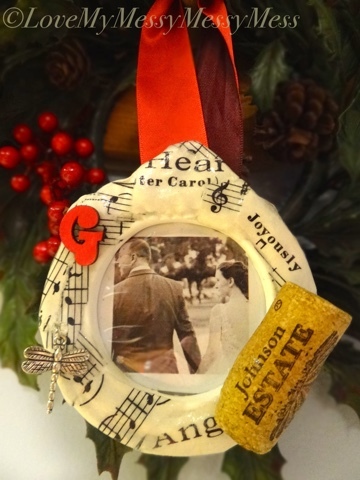 so I plan on making one for my family to add to our tree this year. 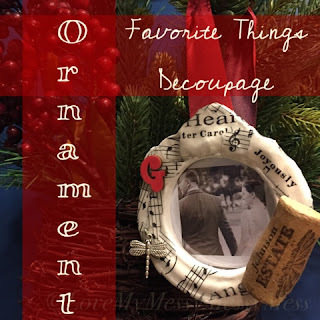 I hope you enjoyed this quick tutorial and perhaps you will try making a Favorite Things decoupage ornament of your own. 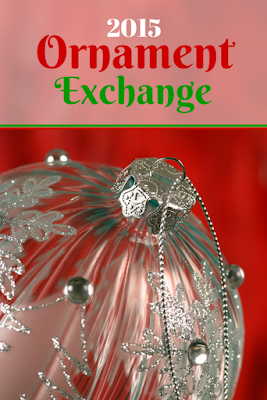 Want to see all the other amazing ornaments the bloggers from this exchange posted today? 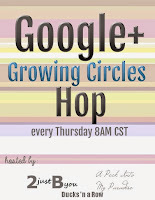 Please check out the AMAZING and creative ornaments all these other bloggers have been coming up with for their buddies - you may find some inspiration of your own! 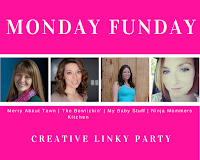 Click here to check out where I like to par-tay!